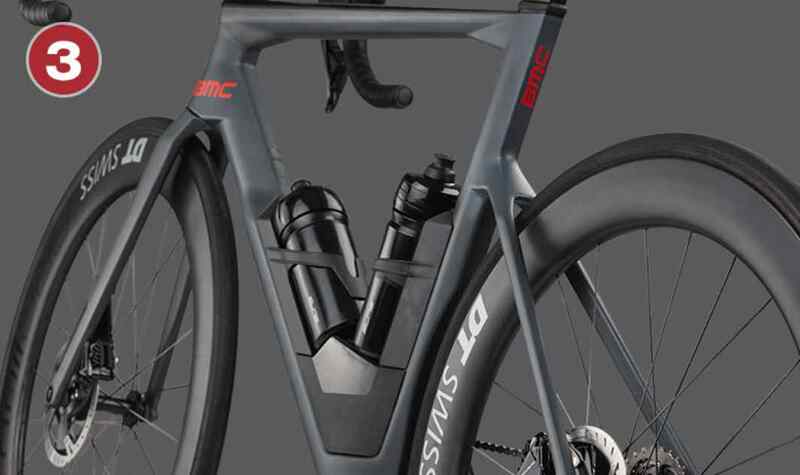 Our Aero Module integrates functional components – hydration and storage – in the pursuit of the most aerodynamic configuration for real-world riding. 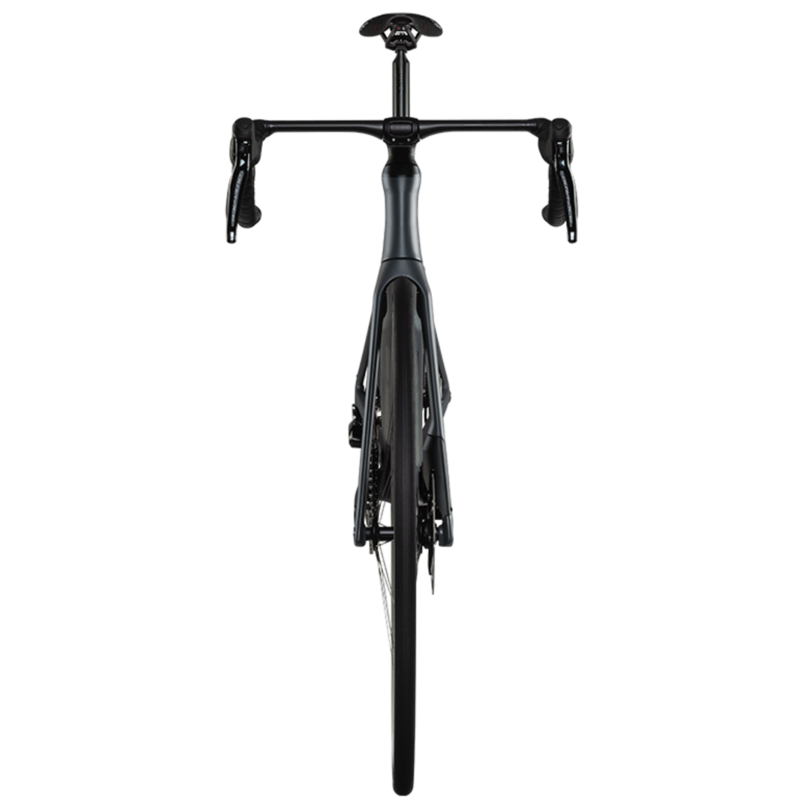 Our ICS technology with the flat fork steerer ensures a minimal frontal profile and dramatically improves its aerodynamic performance. 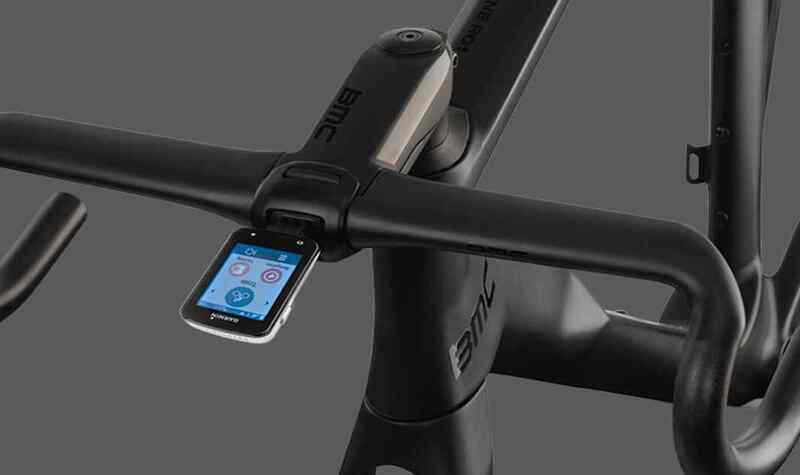 ICS Aero is a cockpit system designed to provide the most ergonomic and adjustable aero cockpit solution. 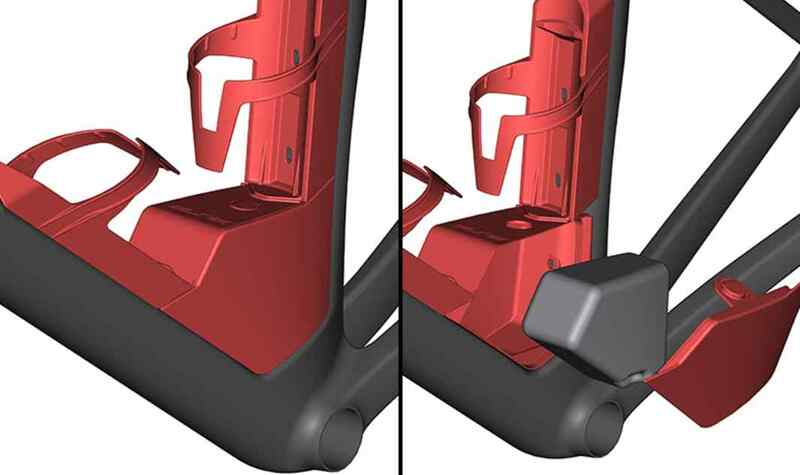 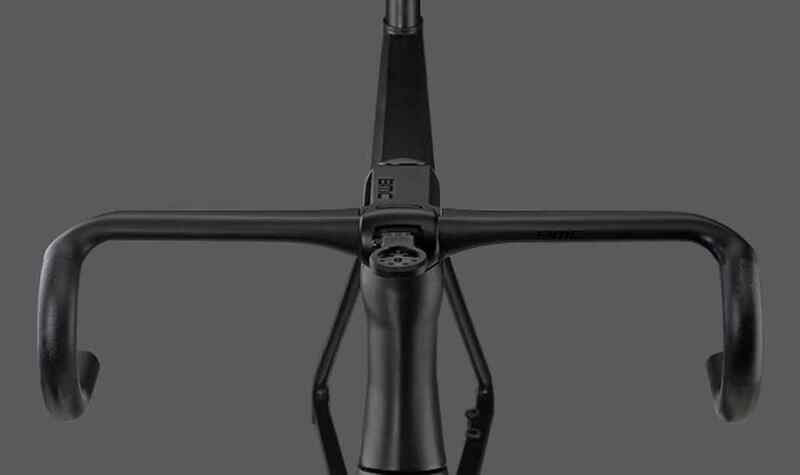 Aero bars ergonomics were attentively considered when defining the dimensions of the ICS Aero cockpit. 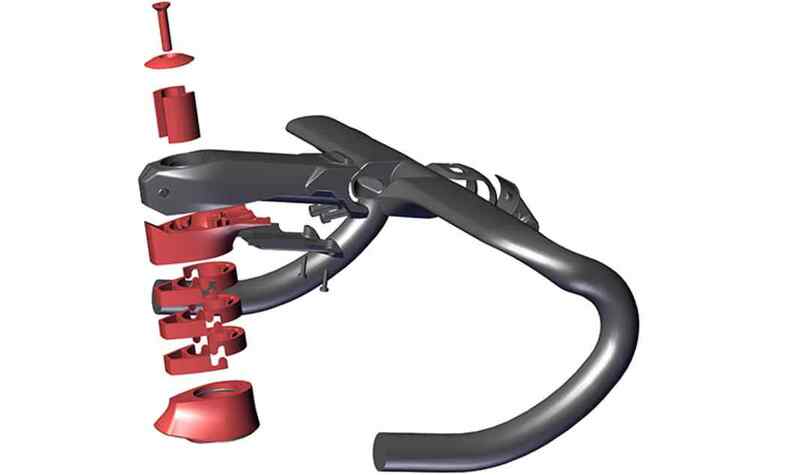 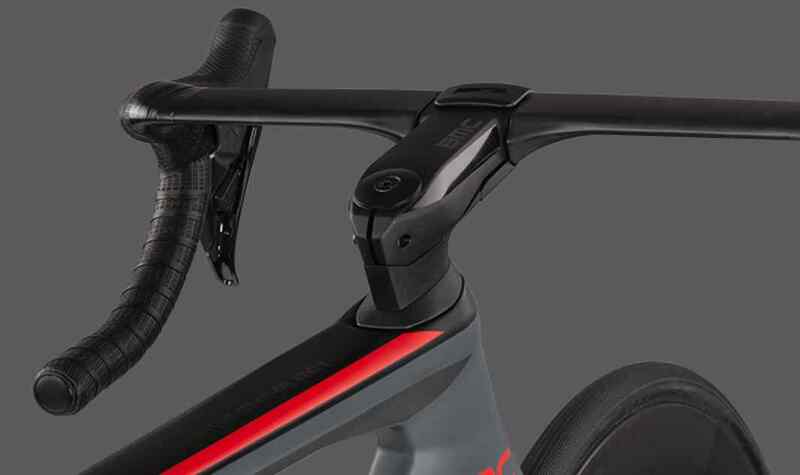 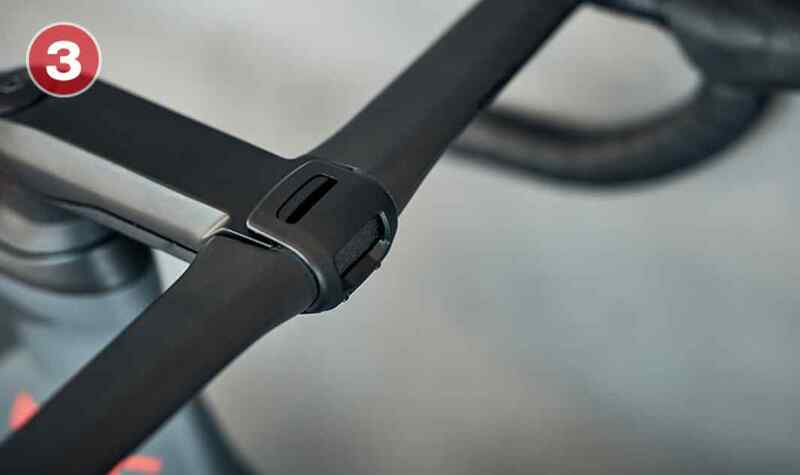 ICS Aero replicates the fit of a standard cockpit with stem lengths adjusted to offset the shorter reach of Aero bars. 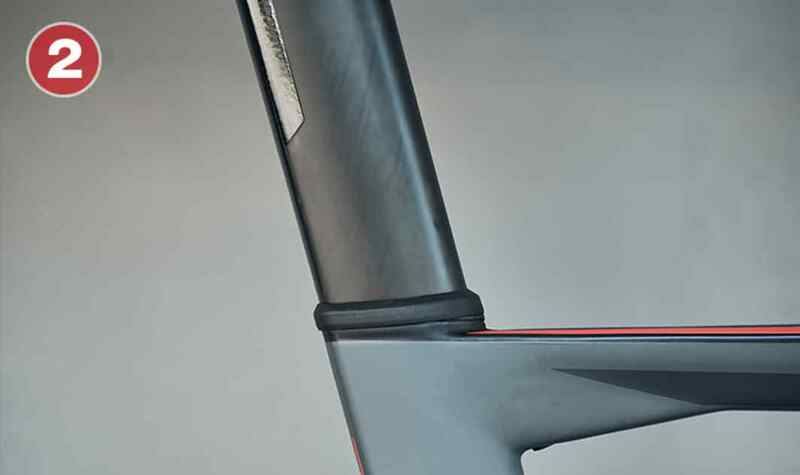 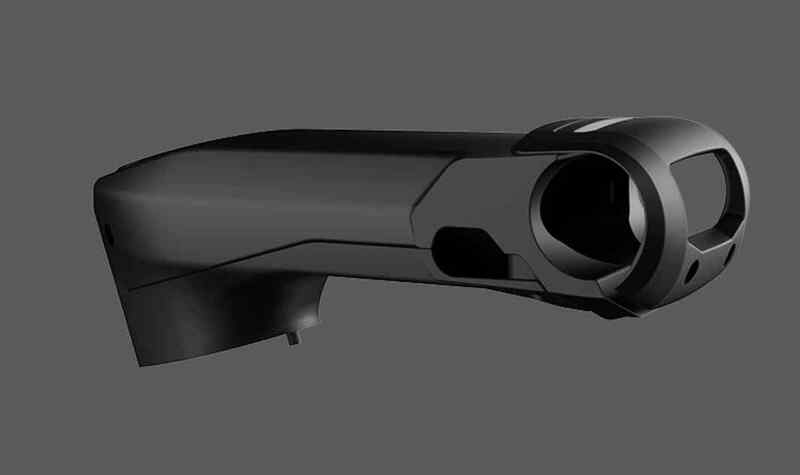 A dedicated Aero bar designed for a minimal frontal surface to reduce aerdynamic drag. 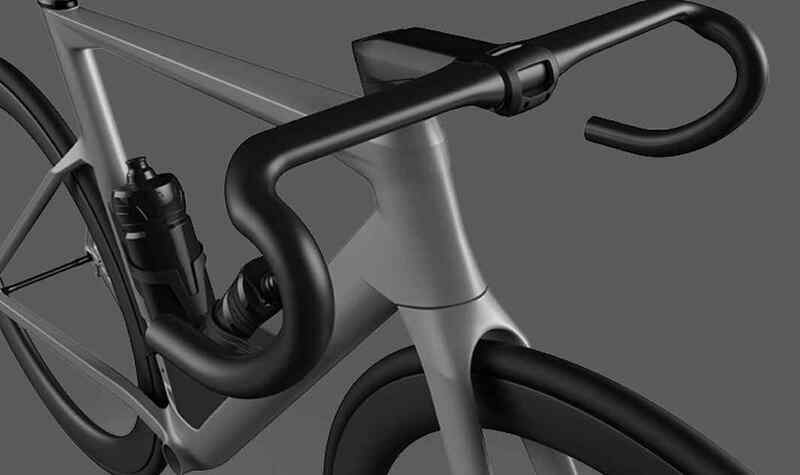 Kamm tail profile seatpost designed to match the aerodynamic performance of the Timemachine R01 and provide a wide range of adjustments. 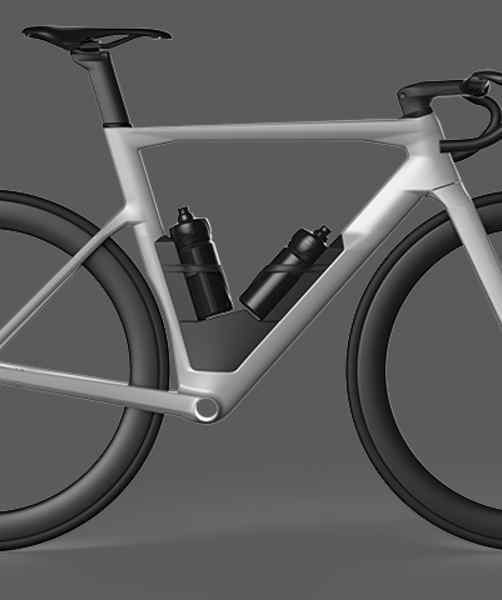 The Aero Module concept came to life when in-depth CFD analysis made it clear that using classic bottle cages is the biggest obstacle to creating an efficient Aero road bike because of airflow detachment starting at very low yaw angles. 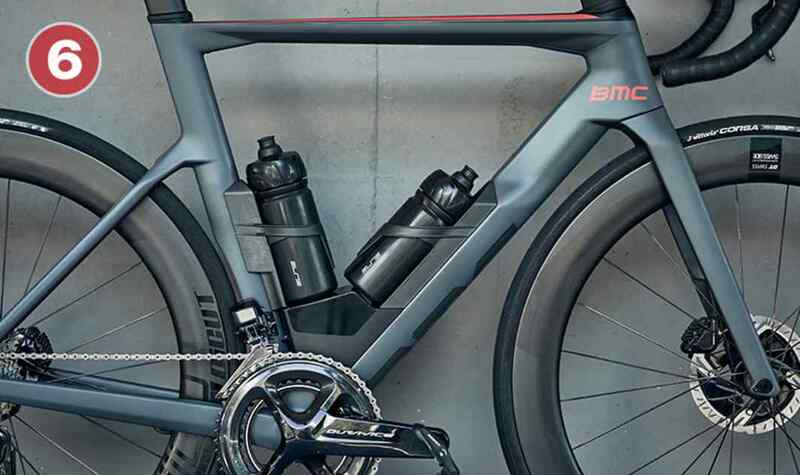 Aero Module literally closes the gap, blending hydration and storage elements in a modular system and re-purposing them to improve aerodynamic performance while adding functionality. 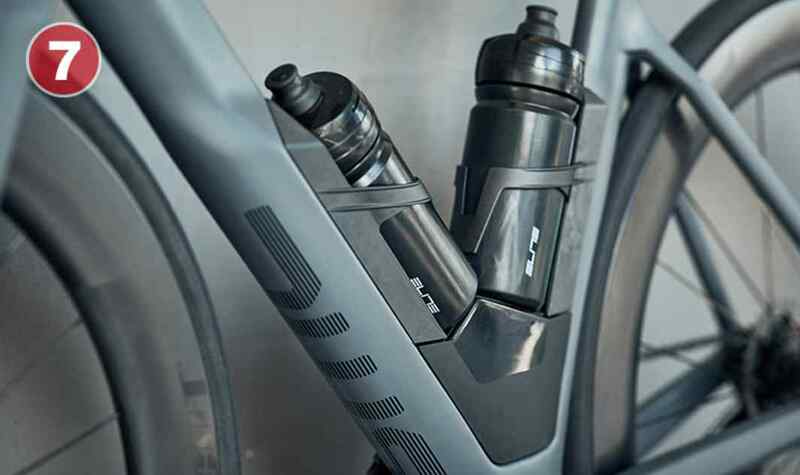 We partnered with the experts at Elite to design reliable hydration units that not only match our design requirements but also provide durability in every riding condition. 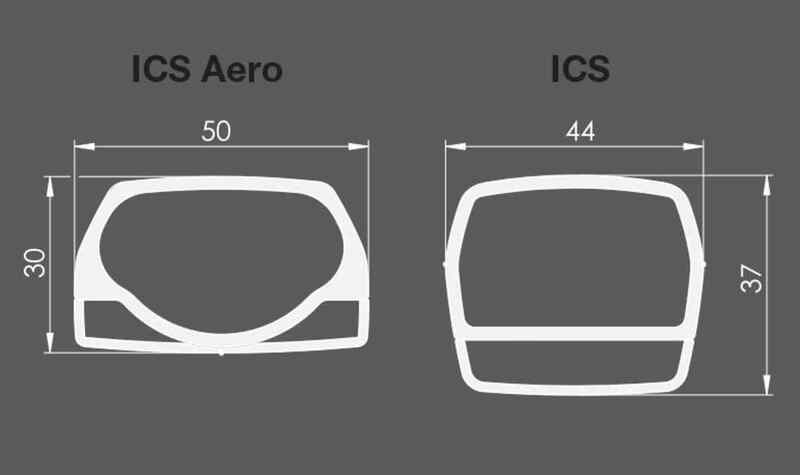 Designed in collaboration with Elite, the Aero box improves airflow and aesthetics while providing essential storage. 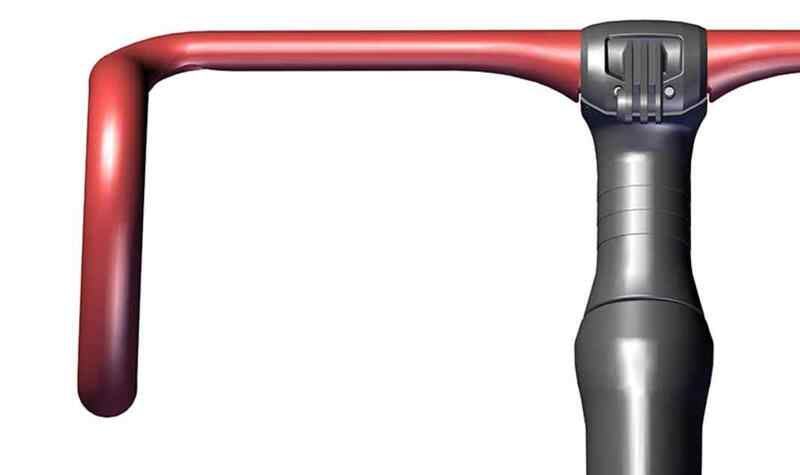 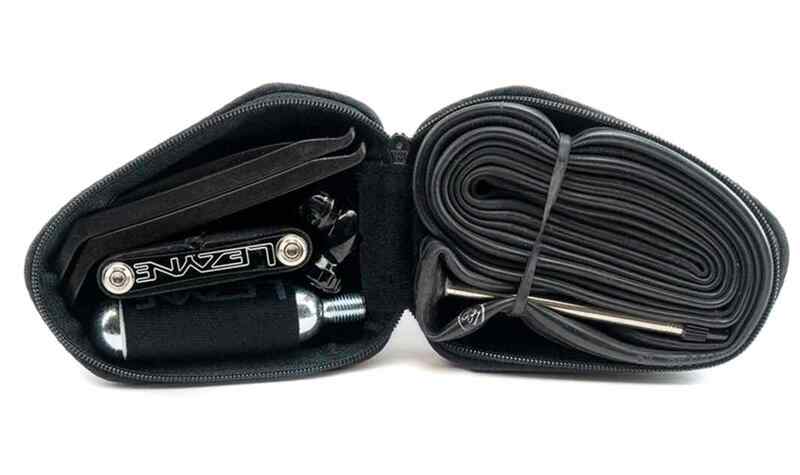 The low center of gravity ensures improved handling when compared to saddle bag storage. 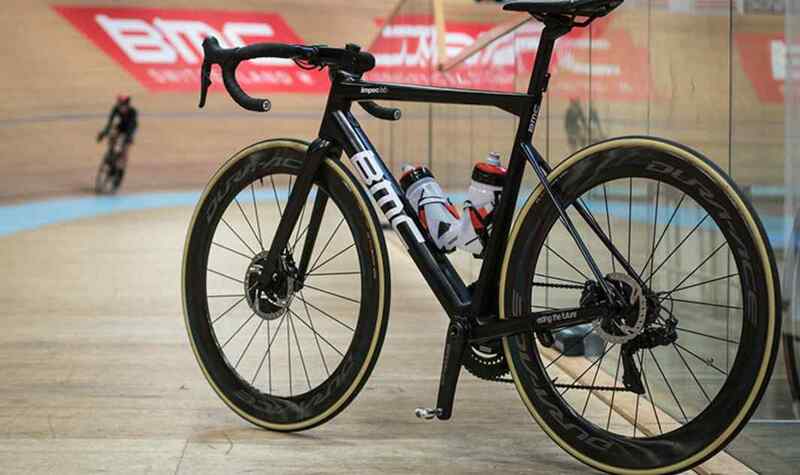 The Aero box can be removed to comply with UCI regulations. 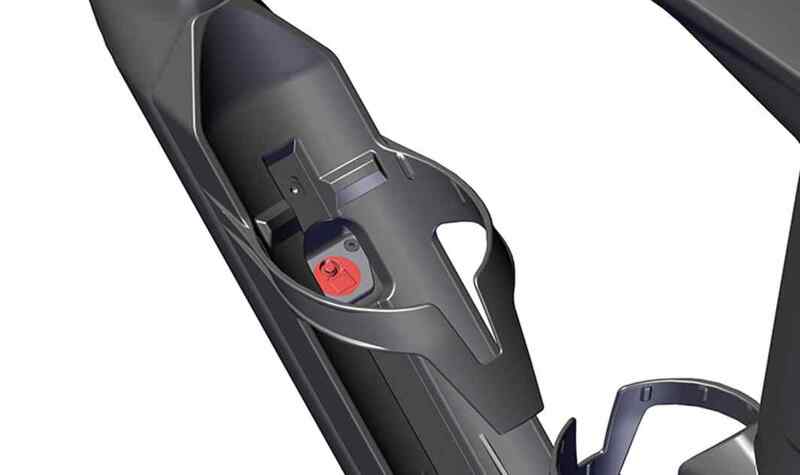 The Shimano Di2 junction box is integrated into the downtube and easily accessible. 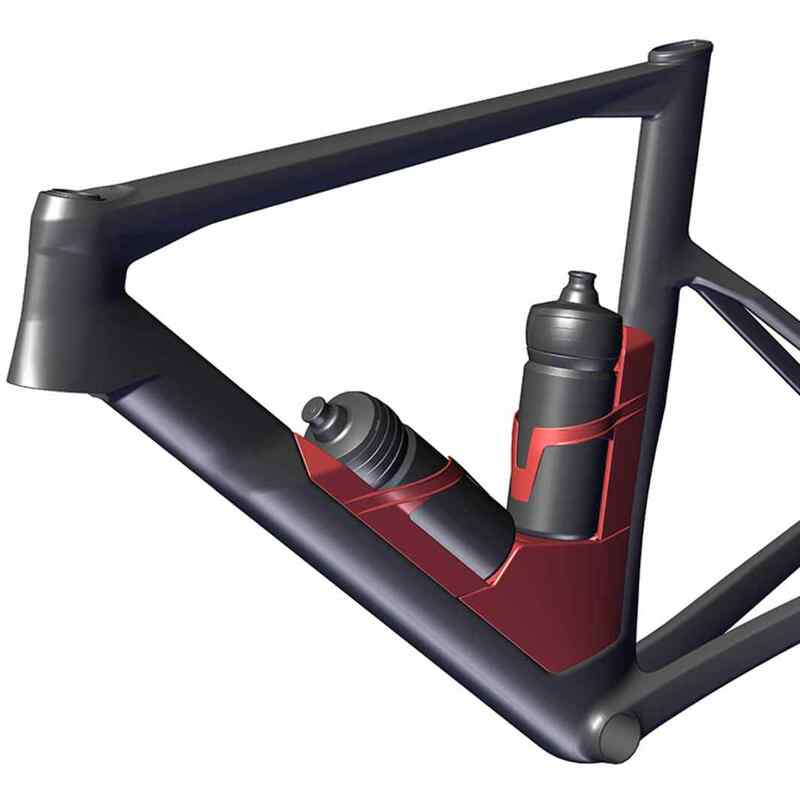 The bike’s performance is at its most aerodynamic when all of the Aero Module components are installed: 2 bottle cages + bottles, Aero box. 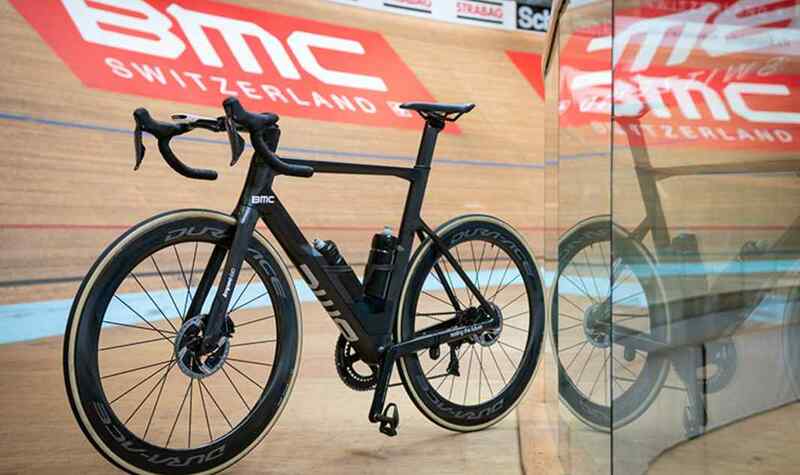 The Aero box can be removed to comply with UCI regulations. 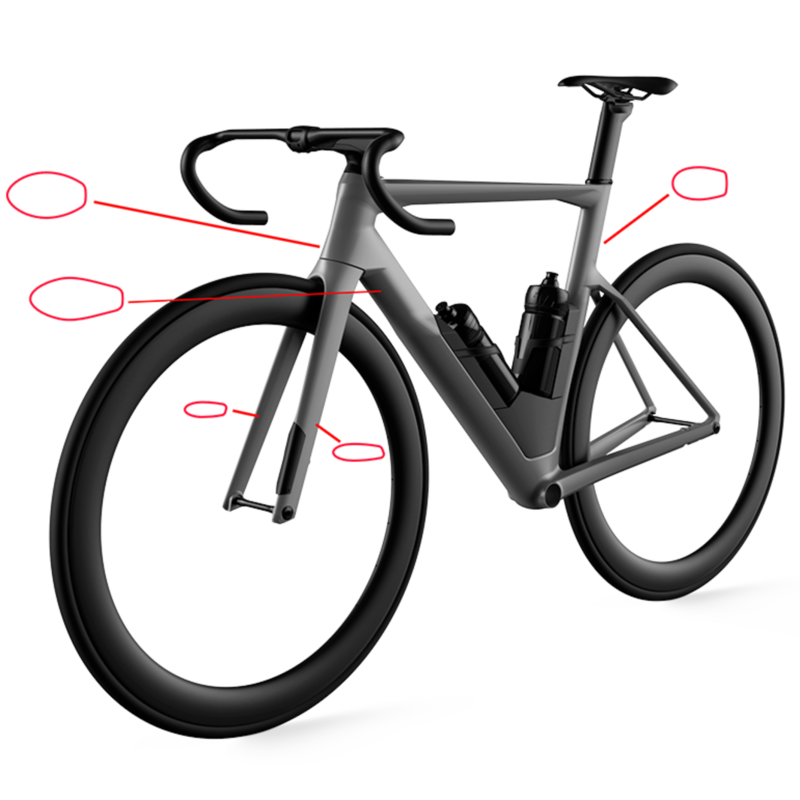 Aero Module is a modular system that allows different configurationsThe tube shapes of the Timemachine Road have been developed on the basis of performance parameters defined to produce a perfect balance of aerodynamics, stiffness and weight for the fastest ride experience on the road. 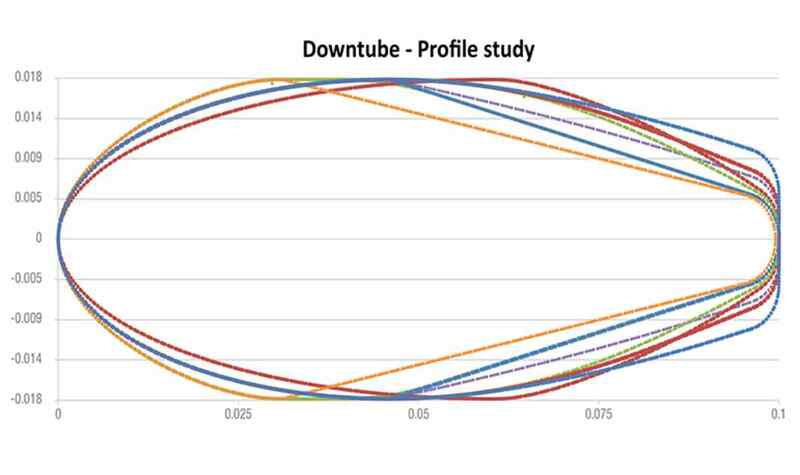 A wide range of aerodynamic profiles has been assessed through CFD simulations for its aerodynamic performance at different yaw angles and wind speeds, defining specific shapes for each tube. 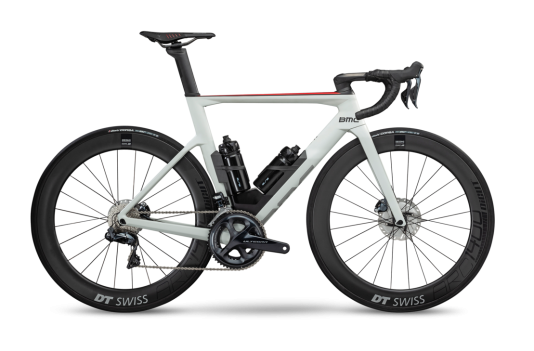 Only the profiles that match the performance parameters developed to simulate real-world riding conditions are finally selected for Timemachine Road. 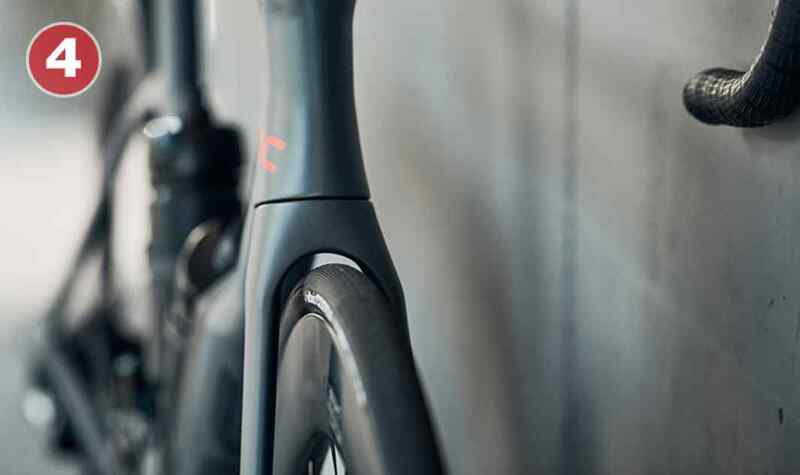 The minimal profile of the Aero cover optimizes the fork’s aerodynamic profile through seamlessly integration and reduces the turbulence caused by the front brake caliper. 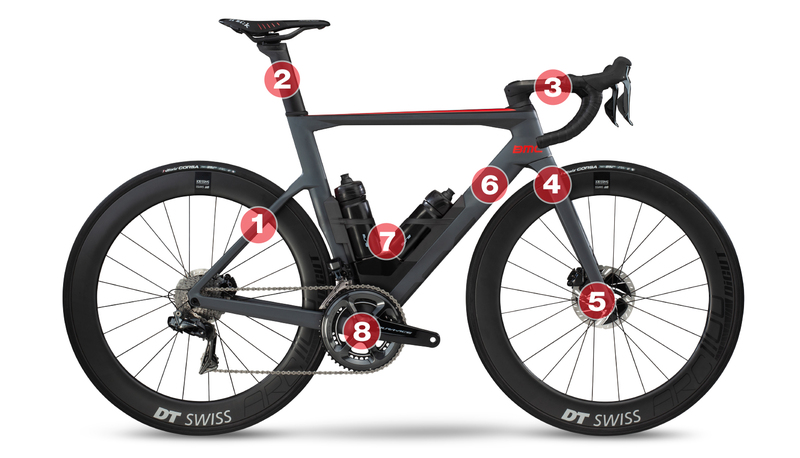 TTuned Compliance Concept (TCC) Speed is all about performance, a compliance system designed to optimize power transfer and rolling resistance on every road surface, achieving peak speeds for extended periods of time. 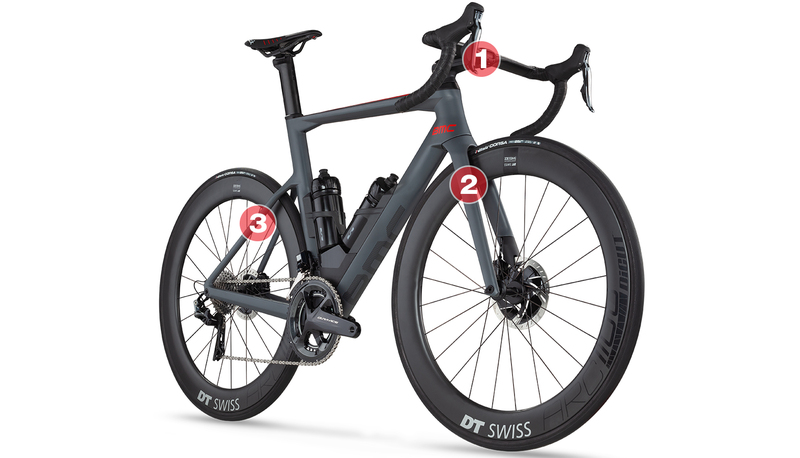 The carbon layup of the Timemachine Road filters road vibration through the fork and the dropped seatstays design to improve power transfer efficiency while the flattened shapes of the ICS Aero stem deliver comfort and control without affecting aerodynamic performance. 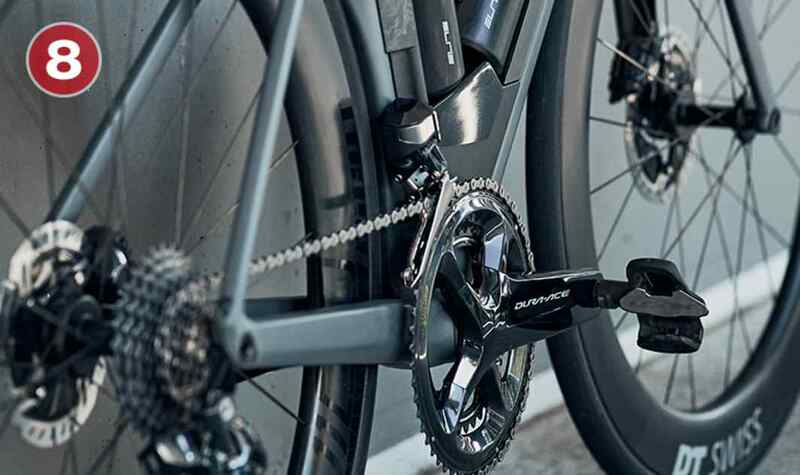 CC Speed is a key feature of Timemachine Road, a solution built to minimize fatigue and help riders produce consistent power outputs over extended efforts. 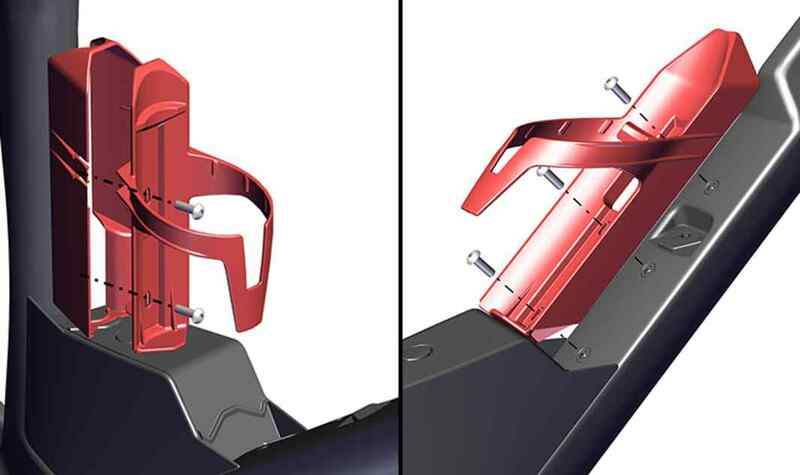 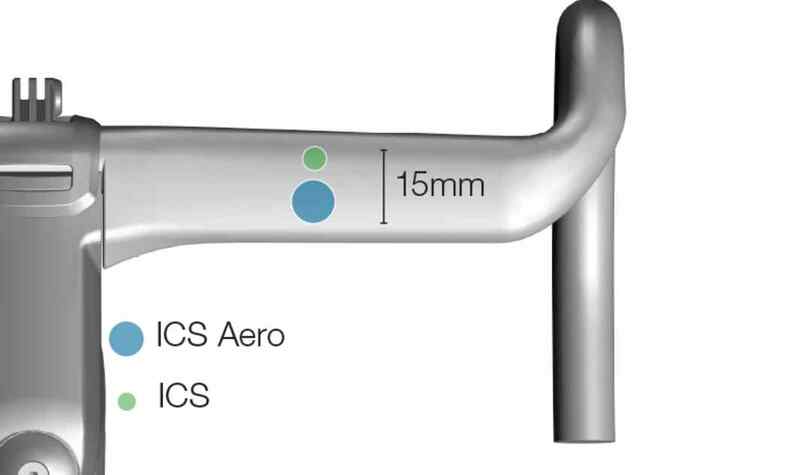 The reduced stem height offers increases vertical compliance for improved control on rough surfaces, while the increased width supports lateral stiffness. 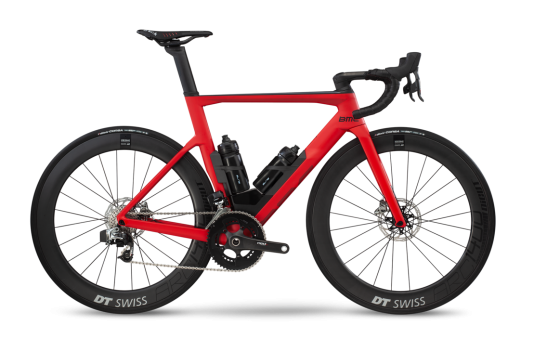 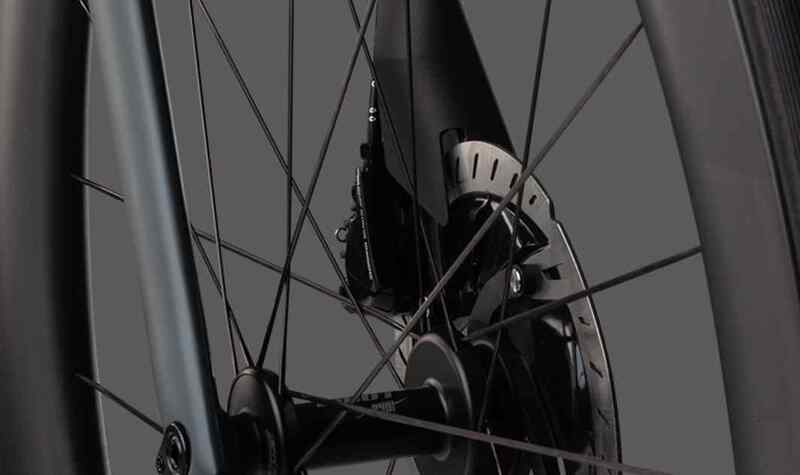 The narrow fork blades reduce aero drag and provide vertical compliance to filter-out vibrations and road imperfections at high speeds. 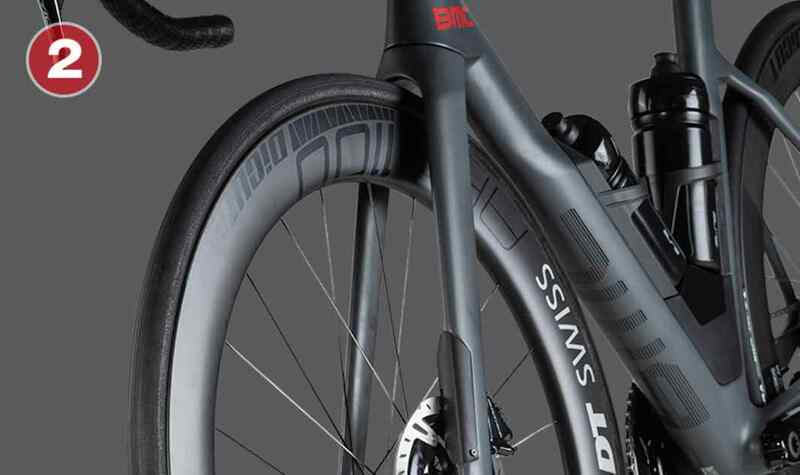 Clearance for 28mm tires provides freedom of choice. 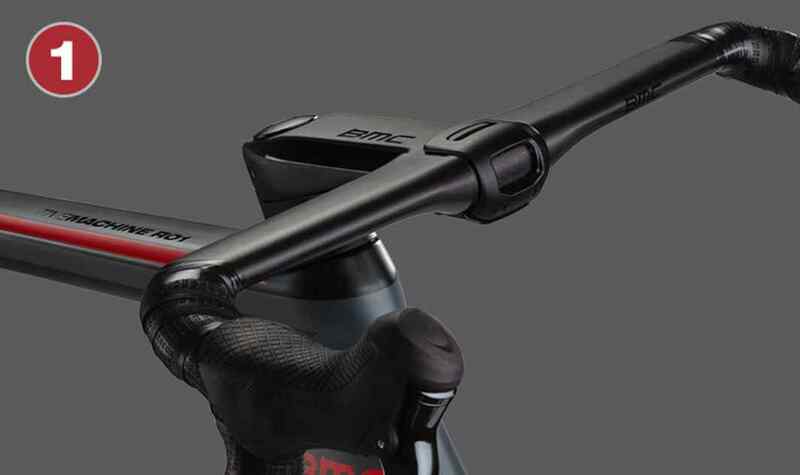 BMC’s iconic seatstay design improves vertical compliance and wheel traction retaining lateral stiffness for comfort over long efforts and sharp accelerations on every terrain. 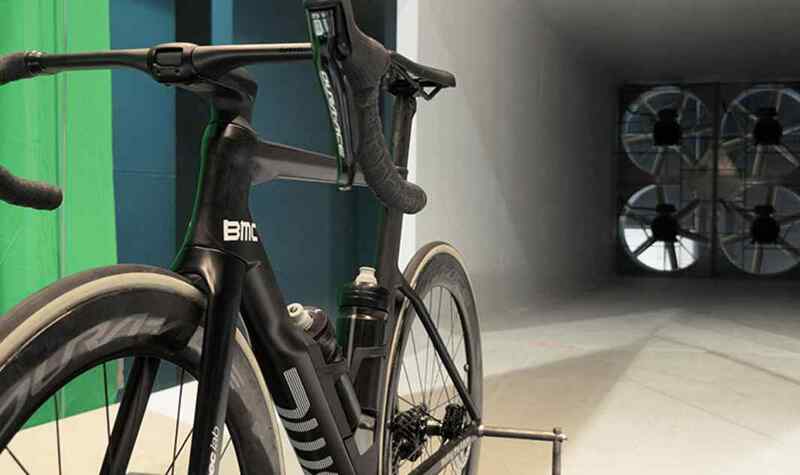 We performed several track testing sessions with different rider profiles to get a comprehensive assessment of the aerodynamic performance of the Timemachine Road 01 in a controlled environment. 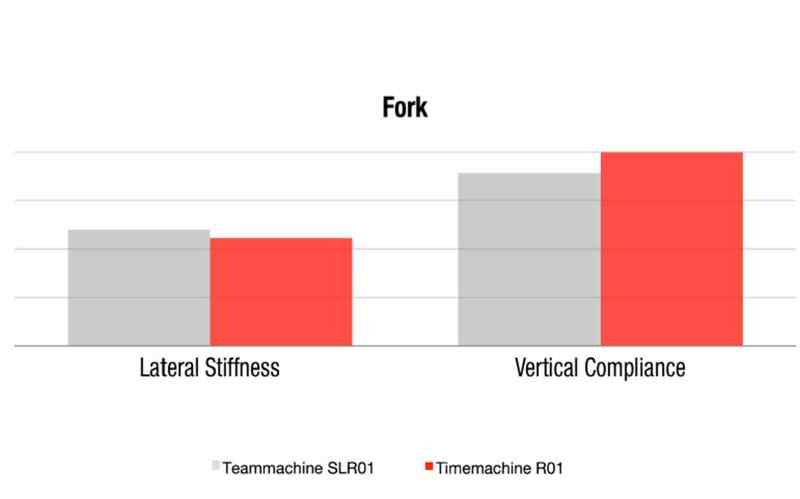 A scientific testing protocol was defined to ensure all variables would be taken into account in order to produce a consistent set of data that would define the performance of the new Timemachine Road 01. 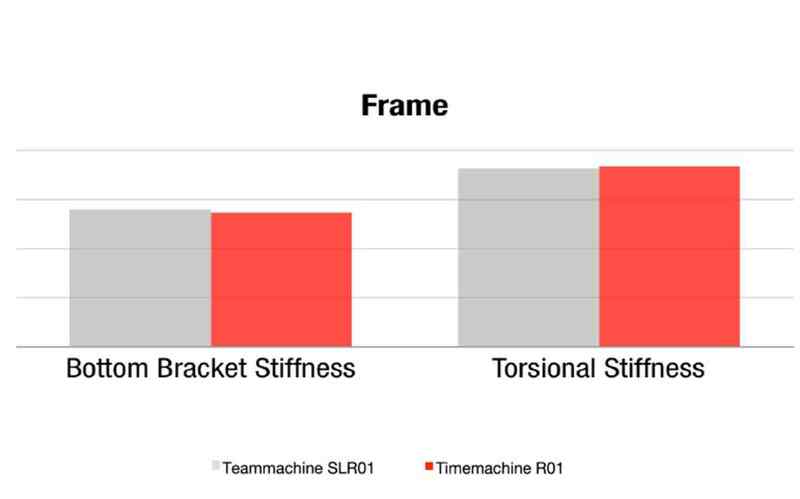 We compared Timemachine Road 01 with Teammachine SLR01 using identical setups (including 2 water bottles), with the Timemachine Road 01 module the only differentiating factor. 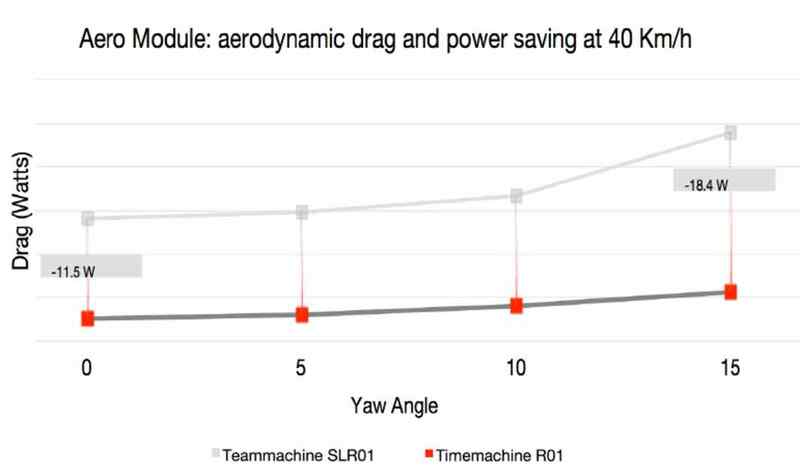 Over the course of 40 hours and over 1700km of track testing the new Timemachine Road 01 produced consistent and measurable power savings for all rider profiles. 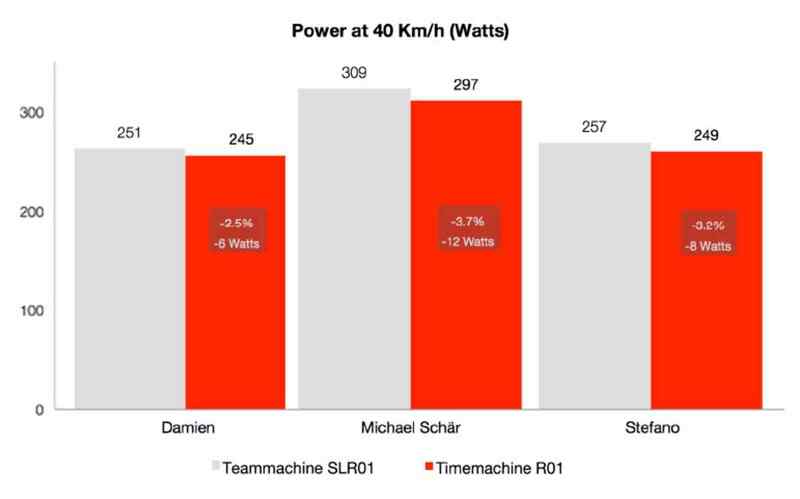 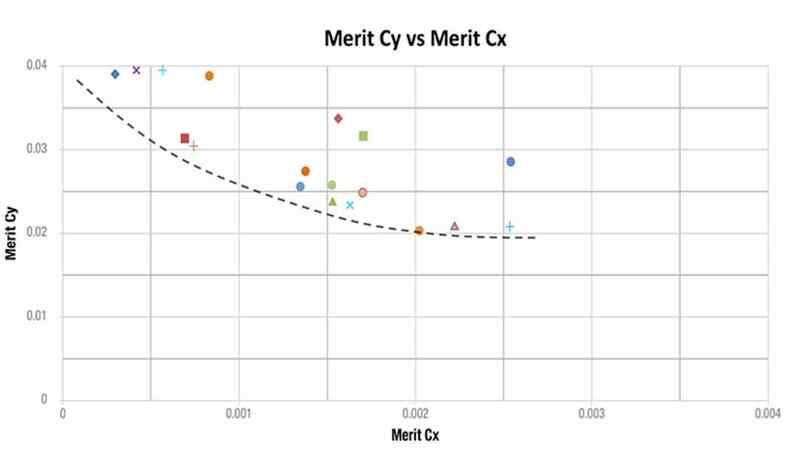 All measurements based on the power input of an average rider. 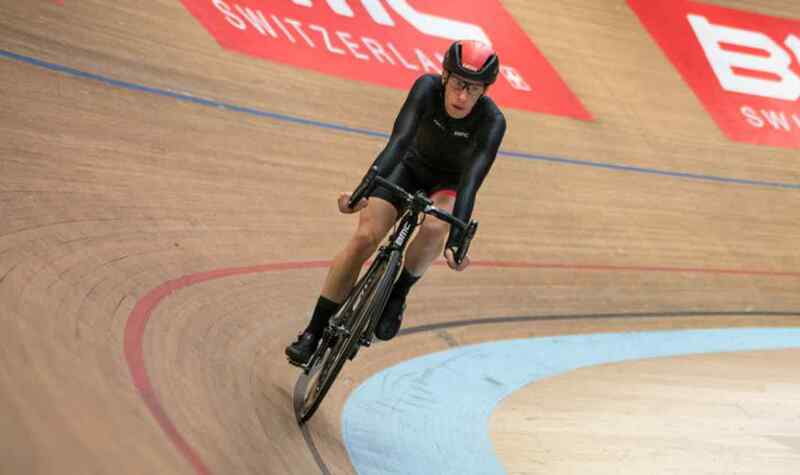 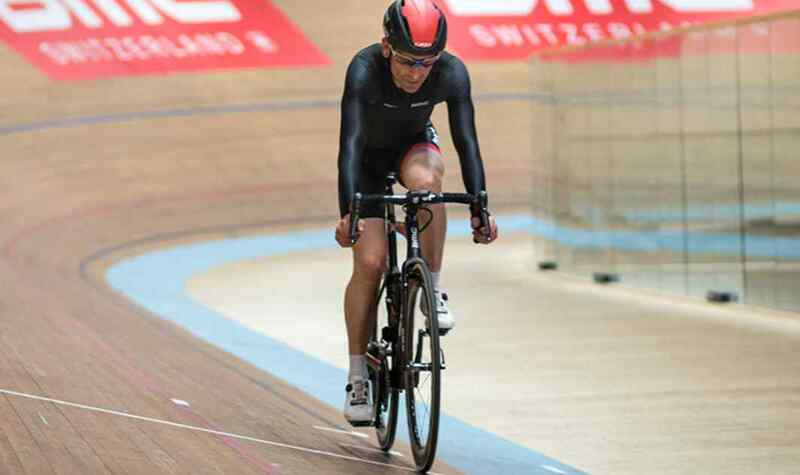 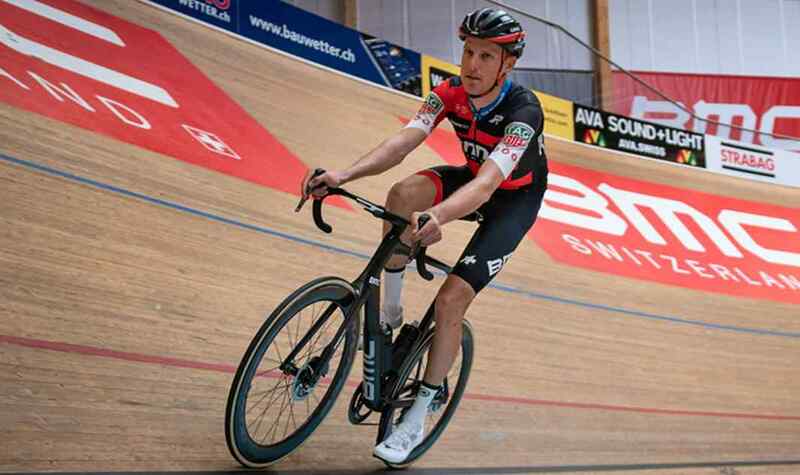 Real-world riding is different from the controlled environment of the track; different factors influence aerodynamic performance, from side winds to the gear that every rider carries during a ride. 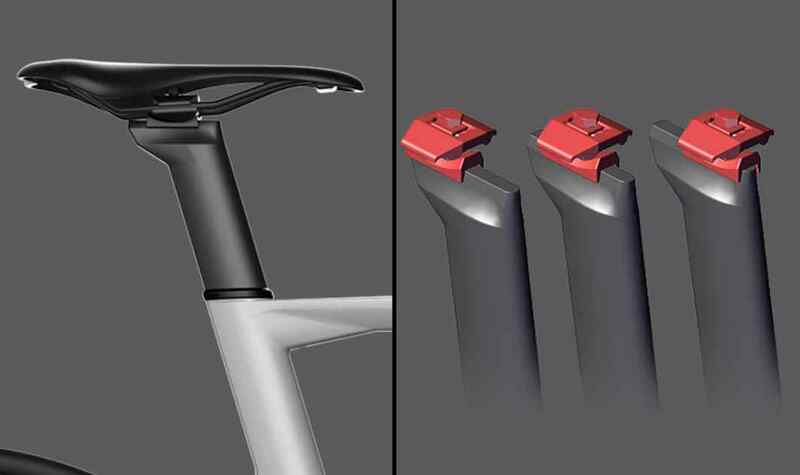 During our research we realized that standard water bottle cages have significant impact on aerodynamic performance, especially with side winds. 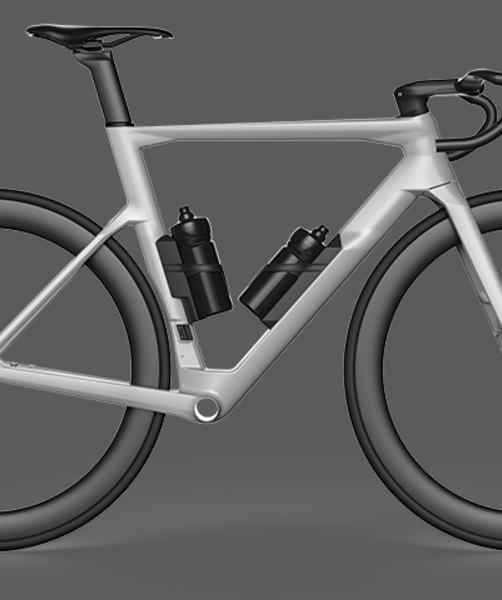 This was the inception of our vision for the Aero Module, an integrated and modular solution for hydration and storage that would improve both aerodynamic performance and functionality. 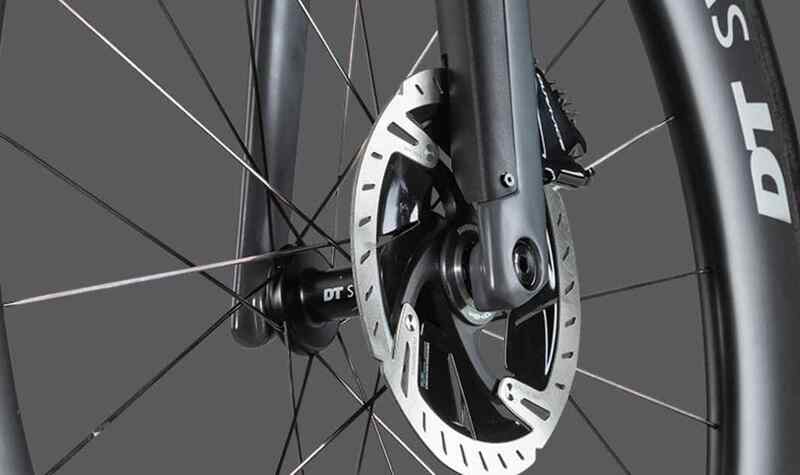 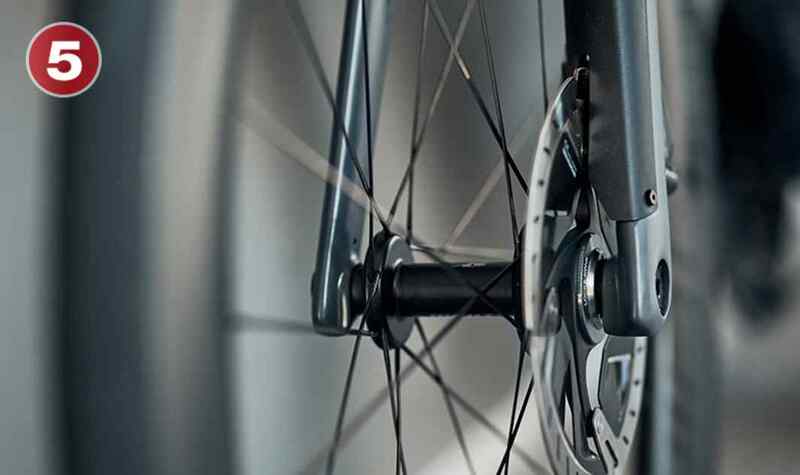 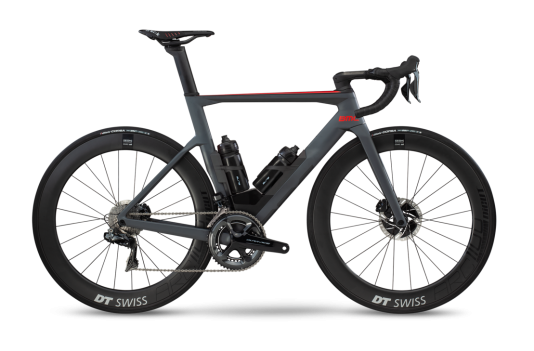 This core technology sets apart Timemachine Road 01 and produces up to 18 Watts gains at 15˚ yaw angles. 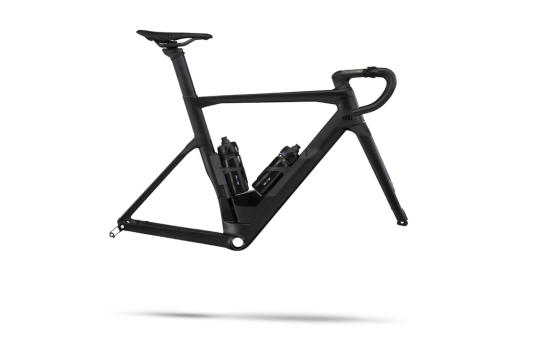 The Timemachine Road 01 frame is designed to deliver the incredible stiffness of the Teammachine SLR01 for incredible accellerations and sharp handling. 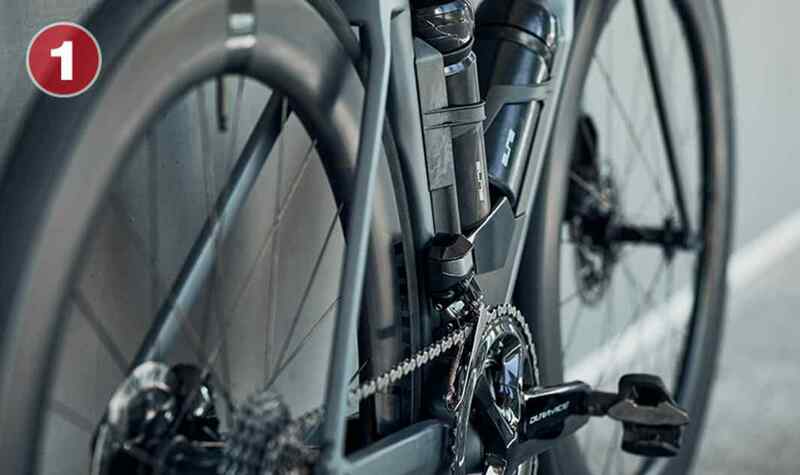 The Timemachine Road 01 features an extremely capable fork, able to deliver the stiffness needed for perfect control while delivering compliance to adapt to every terrain at high speeds.